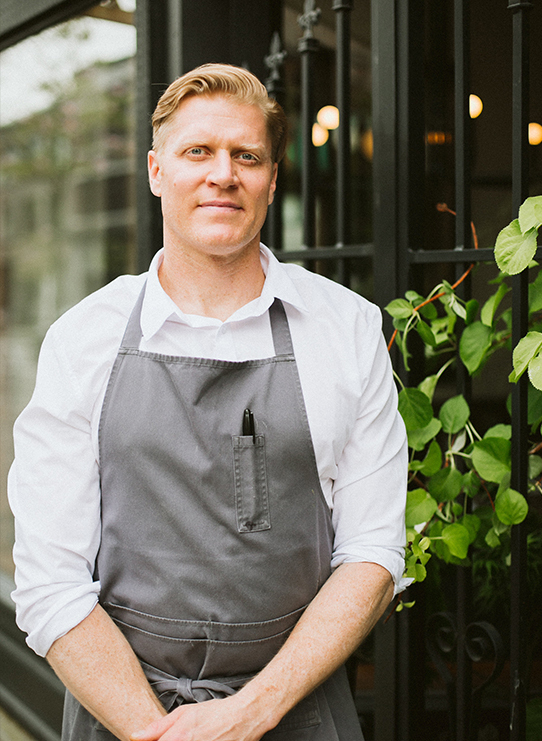 Edmonton-born Chef Lucais Syme was on the verge of applying for law school when he decided to take a year off and develop his newfound love of cooking with a six-month course at the Pacific Institute of Culinary Arts on Granville Island. He then cut his teeth at some of Vancouver’s most respected restaurants, including stints at Blue Water Café, Cioppino’s, Parkside and La Buca. He also travelled to Chicago for a stage at the famous Charlie Trotters restaurant during his training years. In 2008, he opened La Quercia (The Oak Tree) on West 4th in Kitsilano with his business partner Chef Adam Pegg. The neighbourhood restaurant won several awards including Best Casual Restaurant and Best Casual Italian at the 2013 Vancouver Magazine Restaurant Awards. In 2012, La Pentola opened inside the OPUS Hotel in Vancouver’s trendy Yaletown district and in 2014 Syme opened his restaurant Cinara in the Victorian Hotel.